Mother of soldier Hadar Goldin, whose body is being held by Hamas, is to become a regular presenter on Israeli radio's 103FM. 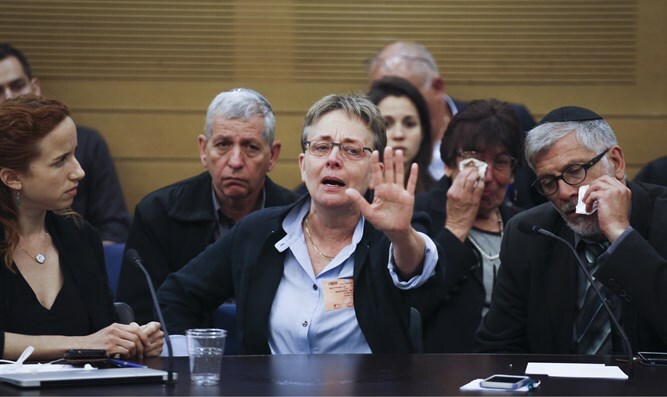 Dr. Leah Goldin, mother of soldier Hadar Goldin who fell in Operation Protective Edge and whose body is being held by Hamas, will soon be joining the radio commentators of Israel’s 103FM, on which she will present the station’s Sunday morning program. According to Walla, after Goldin presented a successful broadcast this morning, the station decided to sign her on as a permanent radio host.